This week we have a writing theme for our activities, it is the start of the year and a good time to take time to focus on our often unattended inner world. We thought it could be useful to start each day this week with 10 minutes of relaxing automatic writing before starting to get through that to do list. 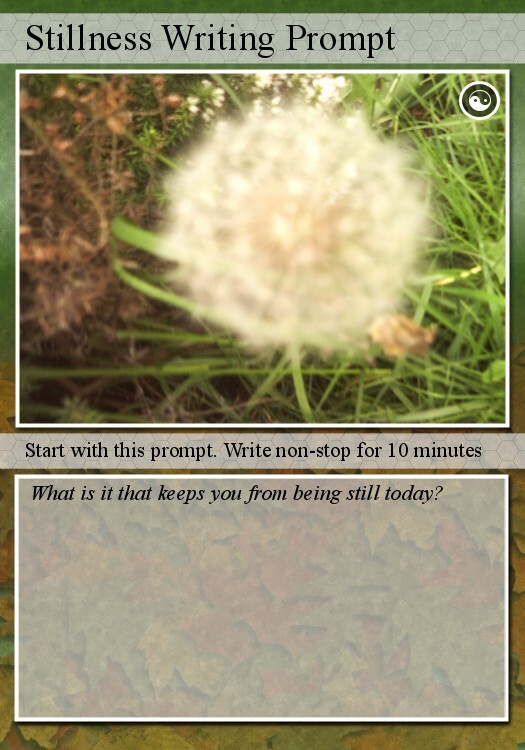 We made a few Stillness Writing Prompts cards with Big Huge Labs and inspired by The Sandbox Challenge and Writing from the Soul.